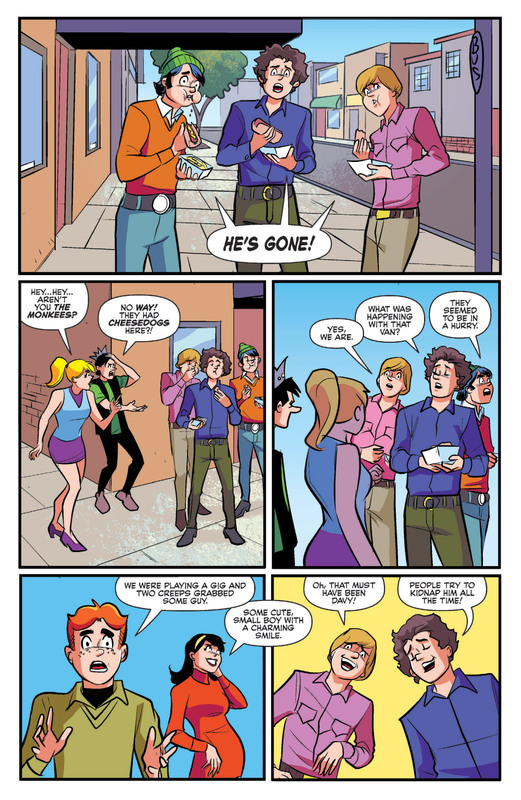 The Archies #4 (Archie) Review – Hey Hey We’re Monkees! The Archies cross-country tour in support of The Bingoes has made its way from Boston to Chicago where the bad plays to a less than receptive audience. They are so un-impressed by Riverdales wholesome band that one audience member actually hits poor Archie in the face knocking him for a loop causing him to imagine a retro-style meeting with the Monkees. The rest of the issue plays out in this retro-Archie style with the vibe of a Monkees TV show complete when instruments suddenly appearing in the bands hands when a musical number is needed and some silly plot involving Davy Jones getting kidnapped. Again. 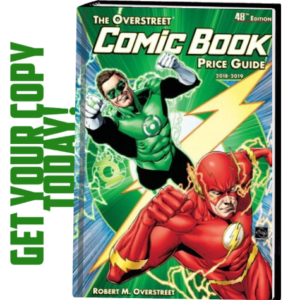 It’s a ridiculous premise, makes little sense and is the most fun that I had reading a comic book this week. 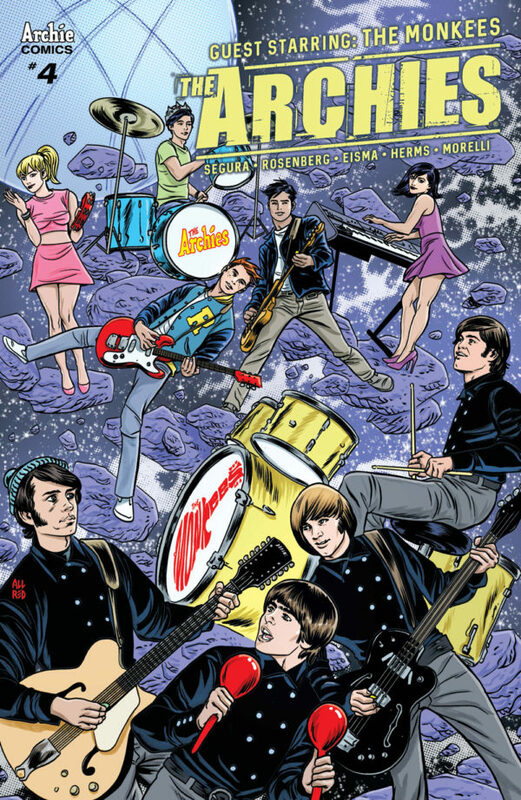 Maybe it is because I remember watching the Monkees TV show in reruns as a kid or that I just miss the old style of Archie artwork or maybe, just maybe, its a nice break from a stack of violent and dark super-hero comic books. 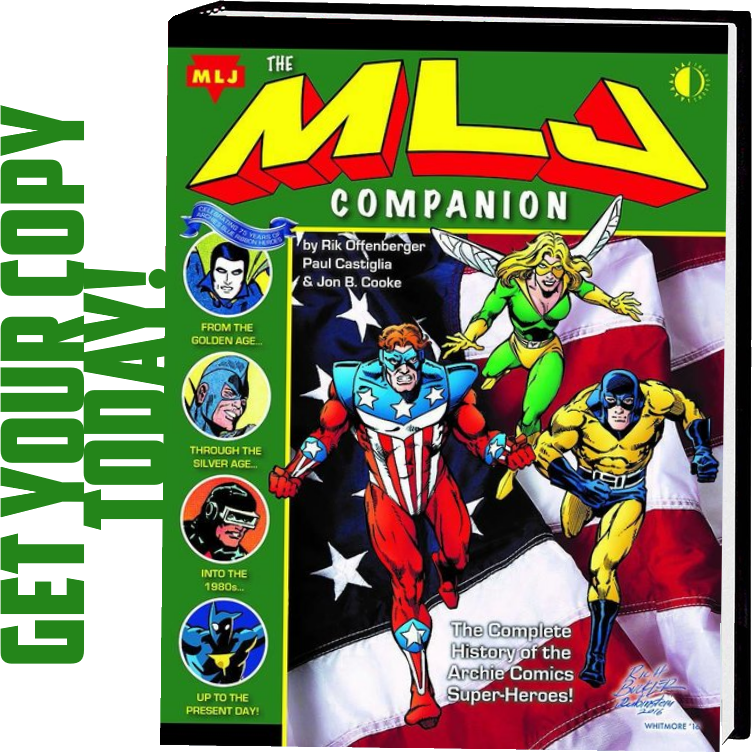 Written by Alex Segura and Matthew Rosenberg and it is fast paced, silly and really enjoyable to read. Anytime writers can figure out a way to include Archies superhero alter-ego Pureheart the Powerful in a story it gets bonus points from me! Much like the appearance of the The Man from R.I.V.E.R.D.A.L.E. 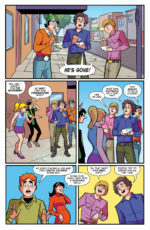 in an issue of Jughead last year, these little tips of the cap to longtime Archie fans are welcome and appreciated. 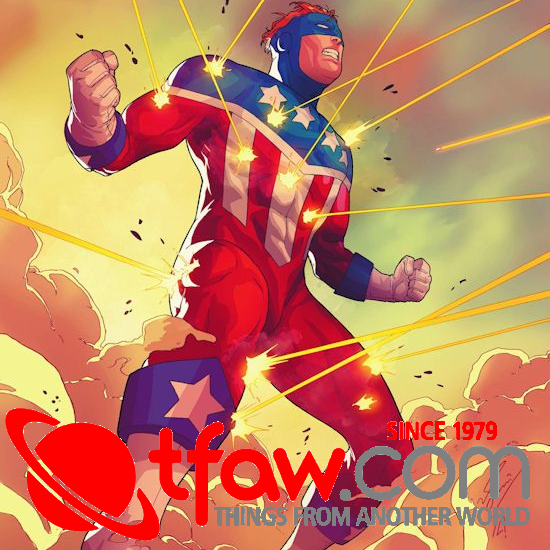 Joe Eisma provided the artwork and it is very good for the most part; his switch from the modern Archie artwork style to the retro inspired style is so seamless that I assumed that two different artists worked on the issue. It was only upon checking the credits in the front of the book that I realized that Joe did the entire book, an impressive feat indeed. 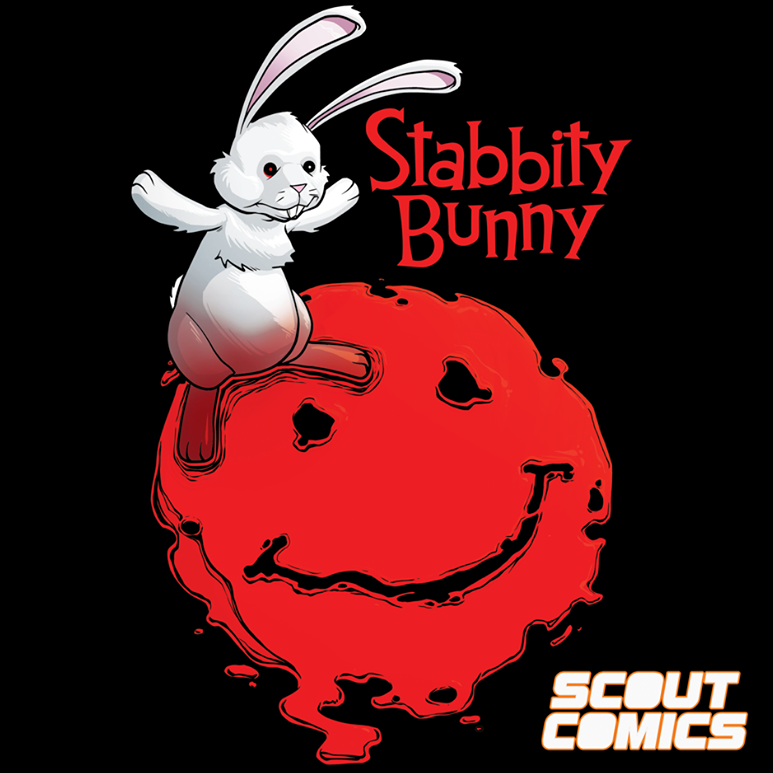 There are some rough spots towards the end of the retro part of the storyline, perhaps when the deadline was catching up to him but overall it is solid work. 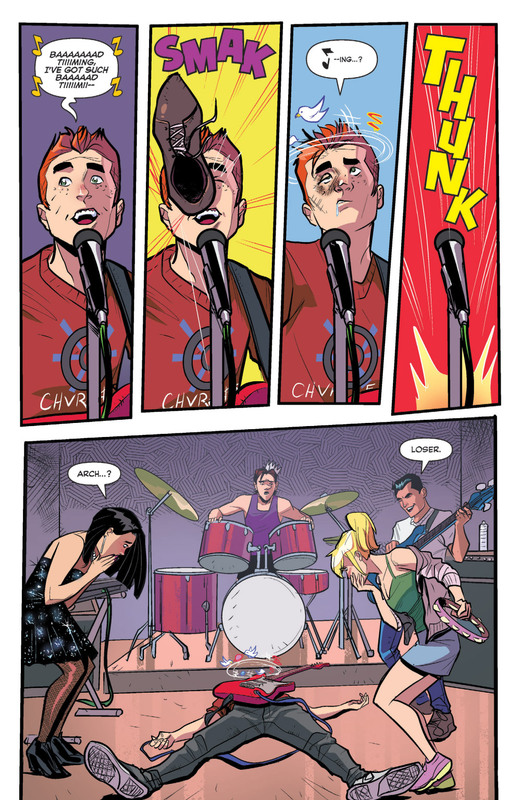 There is also a nice “bonus page” in the back containing an in-universe newspaper article from the Riverdale Gazette about the performance gone wrong along with The Archies “playlist” for the issue which is a featured Spotify playlist available for download. 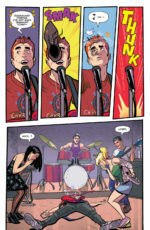 Including tracks from The Cars, The Rolling Stones and Buzzcocks it is a surprising solid list of songs and caps off a great issue of the series.